Submarine Tour Available every day at 08:30 AM, 10:30 AM or 12:30 PM, Private tour includes Pick up services from hotel & return, transfer from your hotel and return by a modern coach, Soft drinks on board Entrance fees and submarine ticket and All taxes and service charges, Tour excludes Any extras not mentioned in the program and Tipping. 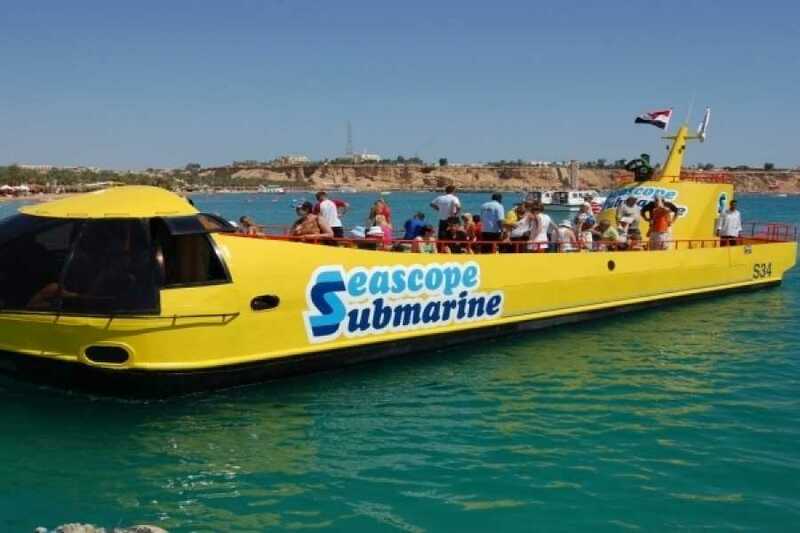 Join us for a fantastic excursion under water. You can clearly see, film and photograph the Red Sea most famous corals, fish and others marine life. Through large panoramic windows and in your personal swiveling chair you surely won't miss a thing!. 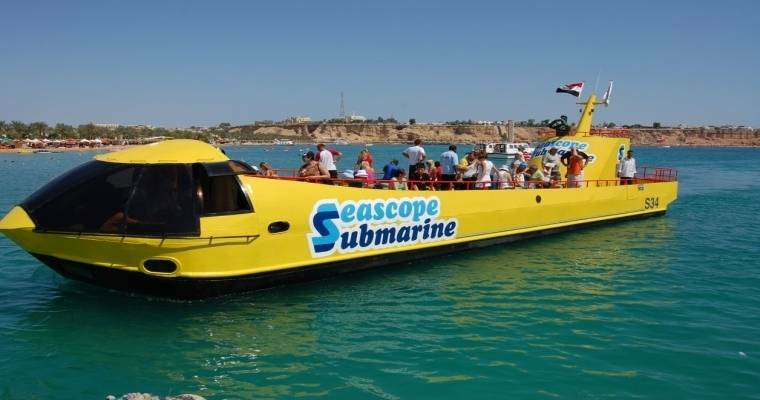 Sea Scope can accommodate visitors in a safe and air-conditioned area. You will be picked up from your hotel and transfer to enjoy the tremendous underwater attractions for tourists from all over the world. The unique ancient reefs located in this part of the Red Sea, has made it a haven of divers and snorkelers. Our Seascope will take you to the most beautiful reefs of this region and show you the abundance and multitude of the local marine life. You will observe the coral reef and tropical fish of all different shapes and sizes through the large panoramic windows in your personal swiveling chair. You can snap happy with your camera or video throughout your journey and are guaranteed to see the unique marine life.